Hot on the heels of the successful launch of its 2018 cruise programme by river boat in May this year, Fred. Olsen Cruise Lines has today announced its five most popular sailings from a selection of 33 holidays, departing from April to October 2018. Fred. Olsen’s best-selling itineraries are all offered on board the stylish and smaller-scaled 156-guest river cruise boat Brabant, and include scenic sailing opportunities through the heart of Europe’s most stunning waterways and rivers, on durations ranging from five to ten nights. “Each river cruise itinerary has been carefully planned to show our guests the best of the region, from renowned capitals – such as Amsterdam, Belgrade and Budapest, and the less-established gems, including the rock sculpture of Decebalus and the remote town of Vidin. “Picture cruising past gorgeous countryside; gliding along the Rhine on a warm, sunny day, while passing by historic German castles; or floating down the Lower Moselle Valley, encountering wildlife and colourful flora along the way. -Brabant’s ten-night R1807 ‘Sailing from the Start of the Danube’ fly-cruise, departing from Hirsova, Romania, on 13th May 2018. Prices start from £1,999 per person for a Standard Room. After passing the point where the Danube meets the Black Sea, guests will embark on an epic expedition through the breathtaking river to Budapest. There are plenty of special experiences en route: explore the Danube Delta Biosphere Reserve via a small boat; unearth intriguing history in Belgrade; witness a traditional Hungarian horse show; marvel at a Petrovaradin Fortress; head off on a tour of Bucharest; cruise the iconic Iron Gates gorges; and more. Ports of call: Hirsova, Romania – St Gheorghe – Ruse, Bulgaria – Vidin –Cruising through the Iron Gates – Belgrade, Serbia – Novi Sad – Cruising the Tisa Plain – Kalocsa, Hungary – Budapest (overnight stay). -Brabant’s eight-night R1808 ‘River Danube and City Discovery’ fly-cruise, departing from Budapest, Hungary, on 23rd May 2018. Prices start from £1,599 per person for a Standard Room. From Budapest’s UNESCO-listed landmarks to Vienna’s elegant palaces and classical music connections, savour the very best highlights in three of upper Danube’s capital cities on this eight-night journey of discovery. The rewards do not stop there. Join Brabant and experience the exquisite Wachau Valley, the winding Schlögener Schlinge, and the narrow Main-Danube Canal, accompanied by romantic Austrian winemaking towns and medieval German cities. Ports of call: Budapest, Hungary (overnight stay) – Cruising the Danube Bend – Bratislava, Slovakia – Nussdorf (Vienna), Austria – Dürnstein – Cruising the Wachau Valley – Emmersdorf & Melk – Cruising the Schlögener Schlinge – Passau, Germany – Regensburg – Cruising the Main-Danube Canal – Nuremberg, Germany (overnight stay). -Brabant’s nine-night R1806 ‘Eastern European Danube Discovery’ fly-cruise, departing from Budapest, Hungary, on 4th May 2018. Prices start from £1,799 per person for a Standard Room. Spanning four fascinating countries, this astonishing ‘Danube Discovery’ heads through the iconic Iron Gates gorges all the way into the most remote stretches of the river. The itinerary concludes with opportunities to see where the river finally meets the Black Sea, and then uncover the Danube Delta Biosphere Reserve aboard a small boat. Captivating Eastern European cities line the way, including Budapest, Belgrade and Bucharest (on a tour). Ports of call: Budapest, Hungary (overnight stay) – Kalocsa – Belgrade, Serbia – Cruising through the Iron Gates – Vidin, Bulgaria – Ruse – Cruising the Lower Danube – St Gheorghe, Romania – Hirsova. -Brabant’s five-night R1802 ‘Delights of Holland in Bloom’ fly-cruise, departing from Düsseldorf, Germany, on 10th April 2018. Prices start from £999 per person for a Standard Room. Delight in all things Dutch on this five-night escape – an ideal introduction to Fred. Olsen river cruising. Take a canal boat trip; tour the Delft or see futuristic architecture in Rotterdam; step back in time at the Netherlands Open Air Museum; wonder at the iconic Kinderdijk windmills; and visit Keukenhof Gardens during the famous tulip season. All this, and more, is expertly blended with scenic cruising through cattle-laden countryside and the Pannerden Canal. Ports of call: Düsseldorf, Germany – Arnhem, Netherlands – Cruising Pannerden Canal & by Fort Pannerden – Nijmegen – Dordrecht – Cruising by Dutch Countryside – Willemstad – Rotterdam – Kinderdijk – Schoonhoven (overnight stay) – Amsterdam (overnight stay). 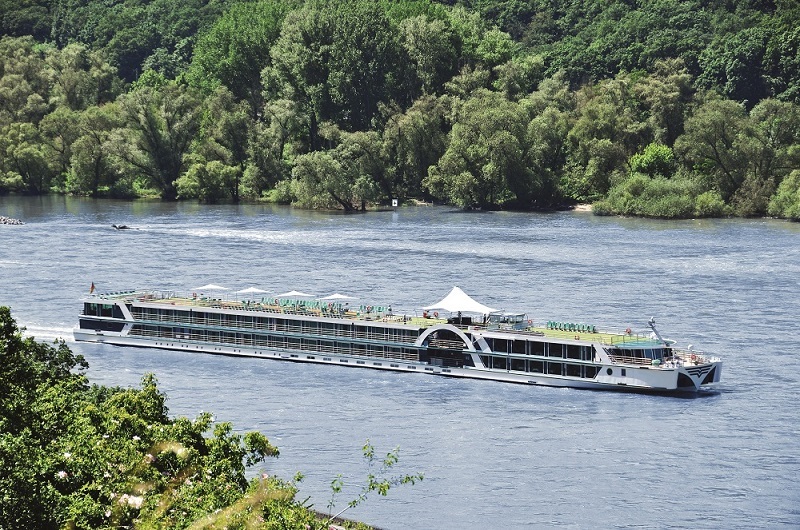 -Brabant’s seven-night R1810 ‘Exploring the Scenic Moselle Valley’ fly-cruise, departing from Düsseldorf, Germany, on 7th June 2018. (Other available dates: 5th July 2018, 2nd August 2018, 30thAugust 2018 and 27th September 2018). Prices start from £1,499 per person for a Standard Room. Head off on an effortlessly beautiful journey blending quaint German towns with a taste of historic France. Scenic wonders, from spectacular cathedrals to fairytale castles to exquisite vineyards, are yours to experience throughout, during specially timed scenic cruising and ashore. On this unique itinerary Brabant goes one step further still, diverting all the way down the Moselle Valley to Bernkastel-Kues – a passage only accessible to smaller river boats. Ports of call: Düsseldorf, Germany – Cologne – Cruising the passage of Bonn – Remagen – Cruising the Middle Moselle Valley – Bernkastel-Kues – Cochem – Cruising the Lower Moselle Valley – Koblenz -Cruising the Middle Moselle Valley – Speyer –Strasbourg, France – Cruising the Upper Rhine Valley –Basel, Switzerland. Prices shown are per person based on two sharing. For further information on Fred. Olsen Cruises Lines, visit the website at www.fredolsencruises.com/travelagentcentre, or call our Trade Support Team on 01473 746164.